Hello and welcome to another edition of the WCU PodCats Podcast! This week we are thrilled to feature Residential Case Manager Veratta Pegram-Floyd on the show! Josh, Patrick, and Veratta sit down to discuss how she came to work for WCU, the role of the Residential Case Manager, her relationship with coworker Brian Boyer, and much more. 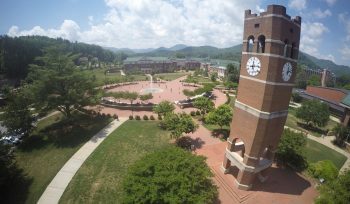 Also on the show this week the guys review the free movie of the week at the UC, Batman v. Superman Dawn of Justice, and talk the MLB Draft as three Catamounts were selected last weekend. Remember to download/rate/review/subscribe on iTunes, like us on Facebook, and follow us on Twitter… and as always, Go Cats!